Apple's latest iOS version 8.1.2 was released yesterday. With every update, Apple patches jailbreak exploits which means existing jailbreaks will no longer work. So you would think version 8.1.2 is not jailbreakable yet, since its so new and there hasn't been enough time for developers to find an exploit. That is not true though. Before I tell you about the newest jailbreak for version 8.1.2, we need to dial back the clock a few weeks and see what's been going on. People familiar with the jailbreak world will know of the 'evad3rs' who made the evasi0n7 jailbreak for iOS 7. But that group of developers has been out of the spotlight since then. The untethered iOS 8 jailbreak was developed by a Chinese group called the Pangu team. Now normally, jailbreaks skip iOS versions in order to save exploits for major iOS releases. It's always been that way. In fact, when Pangu released a jailbreak for iOS 7.1.x there was some uproar questioning the timing of the jailbreak, especially because iOS 8 was around the corner. The cat-and-mouse game between the jailbreak community and Apple goes on in that way. Once a jailbreak is released, Apple patches the exploits, and once a new version of iOS is released, jailbreak developers look for new exploits. The Pangu jailbreak for iOS 8 was available for devices running iOS 8 and iOS 8.1. But then came along the TaiG team (also from China). A little history about TaiG. They were involved with what some call an 'under-the-table' deal with the evad3rs team last year. The rumor was that evad3rs struck a deal with TaiG to bring an installer written in Chinese (called 'TaiG') to consumers in the Asian country. Since Cydia is in English, it was of little use out there. Most consumers in China preferred TaiG over Cydia. But striking a deal with a Chinese company without any transparency did not sit well with jailbreakers elsewhere in the world. It was long believed that evad3rs and TaiG were facing stiff competition in developing an untethered jailbreak from unknown developers. Sure enough, the Pangu team released a jailbreak for iOS 8 shortly after its release. The Pangu jailbreak was received with caution as not much was known about the Pangu team at the time. Even the Cydia store was not available in the first Pangu release due to speculation on the authenticity and stability of the jailbreak. But after a few days, the Cydia store was made available on Pangu. Apple released iOS 8.1.1 in mid-November, and closed the Pangu jailbreak exploit. The race to release a new jailbreak resumed. While most were not expecting a jailbreak release until iOS 8.2, the opposite happened. 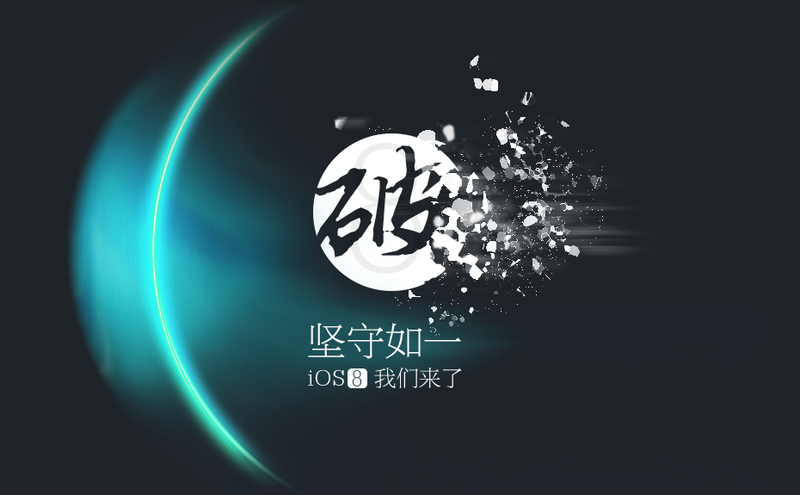 Not to be undone, the TaiG team released a jailbreak called TaiG for iOS 8.1.1, just two weeks after it became available. A quick jailbreak like that had a mixed reception. It also cleared the fog a little as to which are the biggest players in the jailbreak world at the moment - Pangu and TaiG. Jailbreaking has a lot of money involved which is why the race heats up every time Apple patches a jailbreak. But this probably bodes well for the end-user as new jailbreaks become available faster. Seems like gone are the days when you would have to wait for weeks, and sometimes months for a new jailbreak. So the current jailbreak available is the TaiG jailbreak which supported all iOS 8 devices up to iOS 8.1.1 until yesterday. Apple released 8.1.2 yesterday, but the jailbreak has not been patched. It does, however require an update to the TaiG jailbreak tool. Currently the TaiG jailbreak tool is available for Windows only, although a Mac version has been promised. There are a few steps that need to be followed before jailbreaking as usual. And, the usual cautions and disclaimers that go with jailbreaking your device still apply (loss of data, proceed at your own risk, etc.). For the latest jailbreak to iOS 8.1.2 visit the TaiG website and follow the tutorial there. The jailbreak has been confirmed to work without issues by multiple sources.